Radioactive Man vs. Retroactive Man! 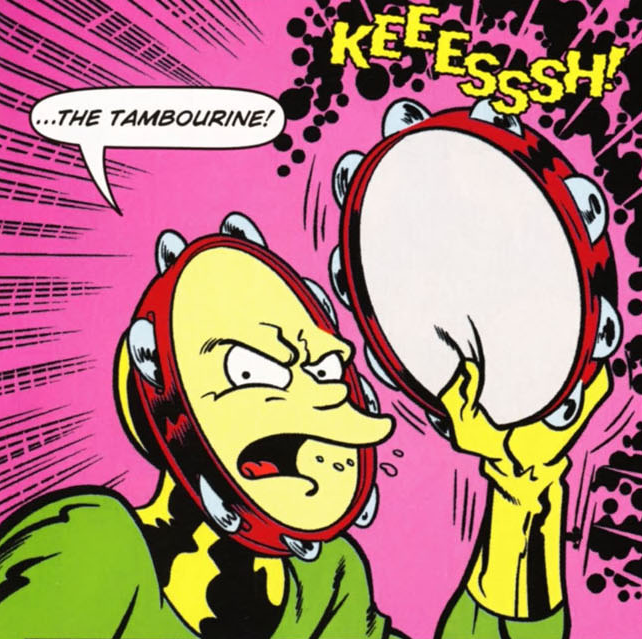 The Tambourine is a supervillain alias that Duke Mulligan used in Radioactive Man. Radioactive Man captured The Tambourine and sent him to Zenith Prison after he and his friends failed to robbed a bank. Comic story – Radioactive Man vs. Retroactive Man! Modified on January 13, 2015, at 11:20.